247 – Former President Lula sent a message through his team, which posted on the social networks the PT’s position regarding the arrest of WikiLeaks founder Julian Assange. “Assange is a hero of our time, his actions have helped unravel the manipulation of the facts by the US intelligence services,” he says. “He did more for democracy in the world than many elected leaders,” says the first post on Twitter. “His arrest is an attack on freedom of expression and his eventual extradition, if it occurs, violence against human rights and would endanger his life,” continues the message, accompanied by hashtags #FreeAssange #DelLula. 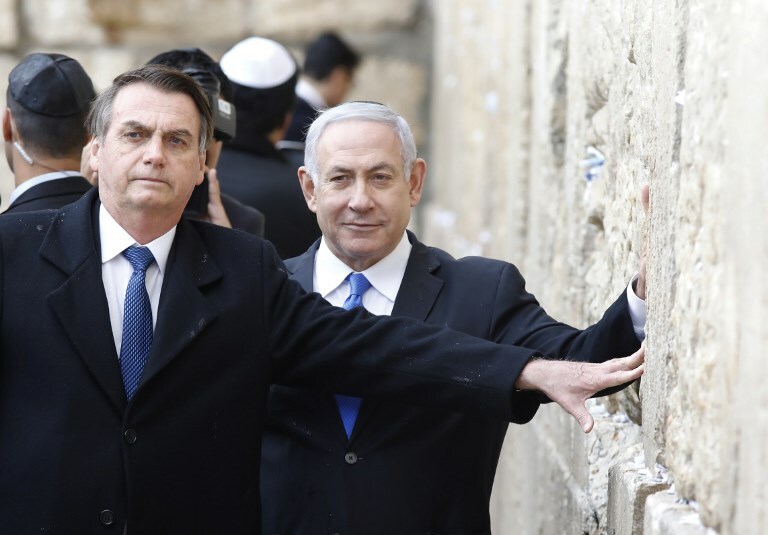 Brazilian President Jair Bolsonaro was joined by Prime Minister Benjamin Netanyahu at the Western Wall on Monday, becoming the first foreign head of state to visit the site together with a senior Israeli official. 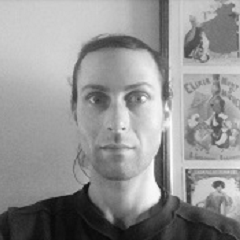 His unprecedented step could be seen as a tacit recognition of Israeli sovereignty over that location in Jerusalem’s Old City, which the international community generally considers occupied Palestinian territory. The Western Wall, part of the retaining walls of the Second Temple, is the holiest place where Jews can pray. After Western Wall Rabbi Shmuel Rabinovitch read a chapter from the Book of Psalms, Netanyahu and Bolsonaro approached the wall, braving the rainy Jerusalem weather. After the Brazilian president placed a note in one of the cracks, the two leaders leaned against the ancient stones for several seconds in quiet contemplation. After the short ceremony, they toured the Western Wall tunnels, which are located underneath the Old City’s Muslim Quarter. 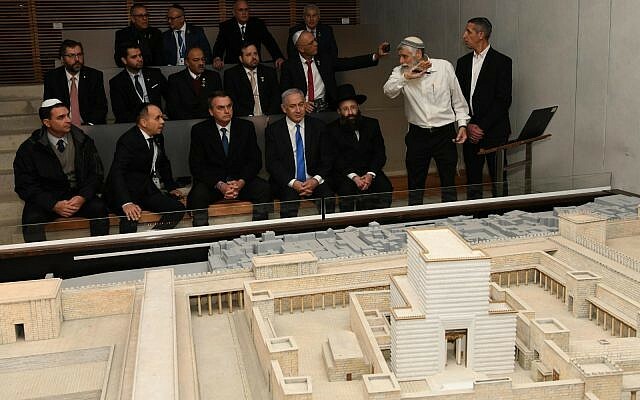 At a visitors center, the two men viewed a virtual reality recreation of the Jewish temple that once stood on the Temple Mount. During his election campaign, and even in the weeks that followed his victory, Bolsonaro promised to follow US President Donald Trump’s lead in transferring his country’s embassy to Jerusalem. But before he arrived in Israel on Sunday morning, he appeared to backtrack, indicating that he would open a trade mission in the city instead. 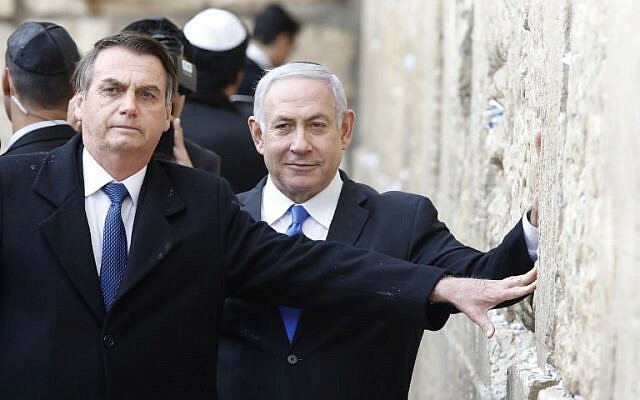 Meeting Netanyahu on Sunday, Bolsonaro announced the opening of a “trade, technology and innovation office” that would be “an official office of the Government of Brazil, in Jerusalem,” the prime minister said. 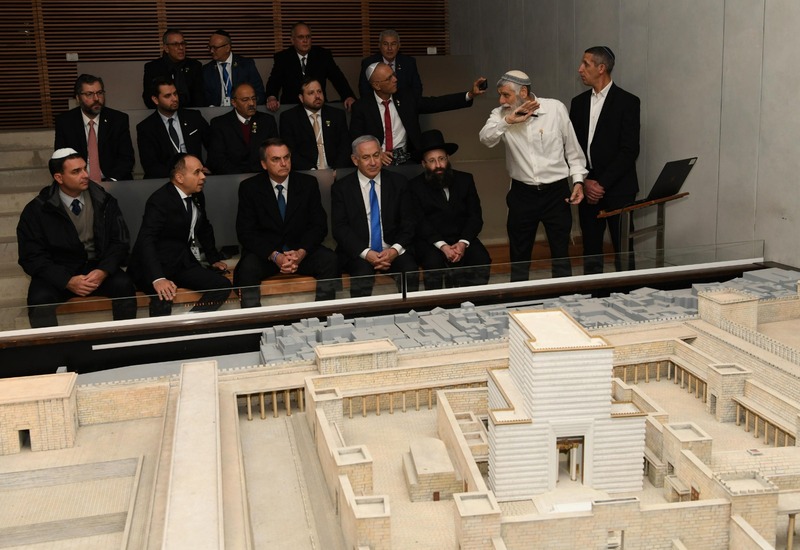 “I hope that this is a first step toward the opening in time of the Brazilian embassy in Jerusalem,” Netanyahu said on Sunday evening during a joint press appearance at the Prime Minister’s Residence on the capital’s Balfour Street. “Recognizing the historic ties of Jerusalem with the Jewish identity and that the city is the political heart of the State of Israel, I announced today that Brazil will open there a Brazilian office to promote trade, investment and exchange in innovation and technology,” Bolsonaro tweeted later that night. Reconhecendo os vínculos históricos de Jerusalém com a identidade judaica e também que a cidade é o coração político do Estado de Israel, anunciei hoje que o Brasil abrirá lá um escritório brasileiro para promoção do comércio, investimentos e intercâmbio em inovação e tecnologia. So far, the US and Guatemala are the only countries to have their embassies in Jerusalem. 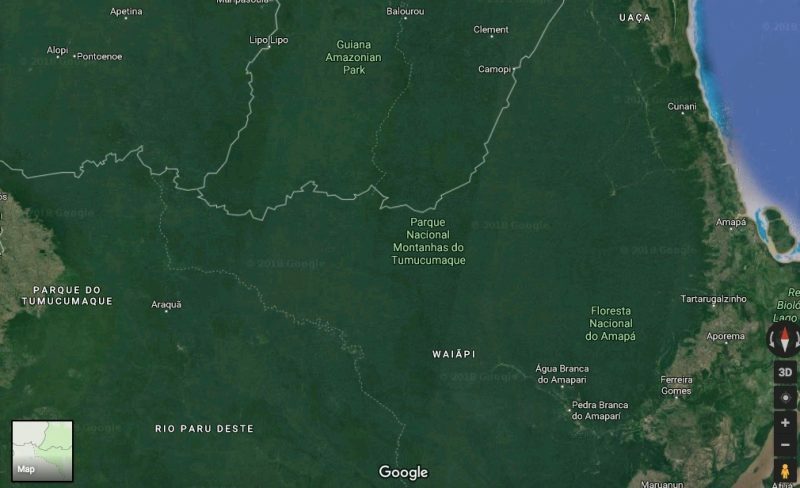 Paraguay moved its embassy to the city last year, but has since relocated it to Tel Aviv. Romanian Prime Minister Viorica Dăncilă on March 24 announced that her country would move its embassy to Jerusalem, but an actual relocation seems unlikely because President Klaus Iohannis — who is staunchly opposed to the move — has the last word on the matter. In recent weeks, several countries have opened or announced plans to open trade or cultural centers in the capital, including the Czech Republic, Hungary and Slovakia. 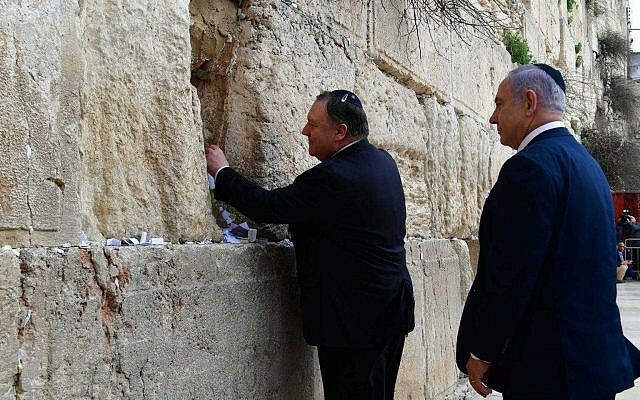 On March 20, US Secretary of State Mike Pompeo became the first American top diplomat to visit the site together with an Israeli prime minister, underlining the recent trend.